Sony officially announced two new external SSD drives, the high-performance SL-M series and the standard compact SL-C series, which is designed for photographers, videographers and creators needing to process large data files at higher speed. PARAMUS, N.J. — April 4, 2019 — Today, Sony announced two new external SSD drives, the high-performance SL-M series and the standard compact SL-C series. These external SSD drives boast ultra-toughness, high-speed, hardware encryption and new utility software features aimed at photographers and videographers providing them the peace of mind to know that their data is safe even in challenging environments. The SL-M and SL-C’s high speeds enable quicker workflow when processing, editing, duplicating and storing data. 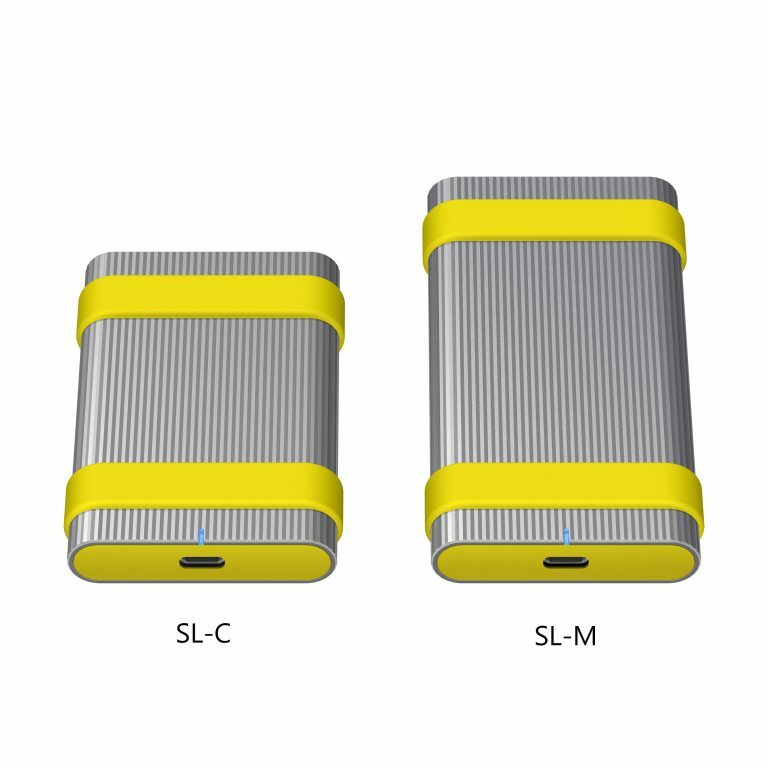 Both the SL-M series and SL-C series have a stylish wave-surface aluminum body providing slip free grip along with an easy-to-find silver and yellow design. Plus, both models feature a conveniently placed LED so it’s easy to see, as well as rubber bands to hold ID labels in place and label stickers to identify different drives. On high performing SL-M series. Based on Sony internal testing. Actual performance may vary and is dependent on environment and usage.